Energy secretary Greg Clark has set out four principles he says should inform energy policy, but David Blackman asks if he has ignored the recommendations in Dieter Helm’s cost of energy review. It can’t have been the most comfortable listening for Dieter Helm. 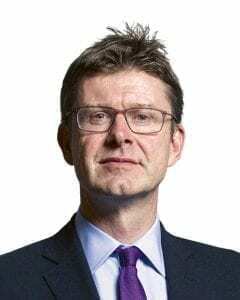 Halfway through November, on the same day the UK government appeared to be imploding after the release of the EU withdrawal agreement, the Oxford University professor of energy policy hosted a speech by Greg Clark at the Institute of Directors. The secretary of state for the Department of Business, Energy and Industry Strategy (BEIS) had found time to make a wide-ranging speech that was billed as a response to Helm’s cost of energy review, which the academic had submitted to the government more than a year before. The cost of energy review was the fruit of a Conservative election pledge understood to have been inserted into the manifesto by Theresa May’s erstwhile head of policy, the climate change sceptic Nick Timothy. But it appears to have been heading into the long grass ever since it was published. The government’s unusual step of launching a call for evidence into a study that it had itself commissioned didn’t exactly look like a ringing vote of confidence in Helm’s conclusions. Clark was scrupulously polite about Helm, recalling how he had studied the professor while a student at Cambridge. However, the secretary of state appeared to have taken on board few of the professor’s many and detailed recommendations. “Greg Clark’s speech was a masterpiece in praising Dieter Helm but then ignoring him,” says Sir Ed Davey, former energy secretary in the coalition government. Jeremy Nicholson, former director of the Energy Intensive Users Group, observes that hardly any of Helm’s recommendations are being enacted by BEIS, with Clark seemingly using the report as a starting point for discussion rather than a blueprint for action. “Clark’s remarks are not an adequate response to the report,” he says. Clark’s own starting point was the claim that the “trilemma” is dead. This is the idea that a balance has to be struck in energy policy between the goals of affordability, sustainability and security of supply. Clark’s argument that the plunging cost of renewable energy means there is no longer an automatic tension between these three objectives is hardly contentious in energy circles these days. “The fact they are acknowledging it is good,” says Dr Jonathan Marshall, head of analysis at the Energy and Climate Intelligence Unit. But Howard suggests Clark has been a little premature in burying the trilemma. “The trilemma hasn’t gone away entirely. While renewables are quickly becoming the cheapest form of power, that’s not true in other parts of the energy system. “In the power sector you could argue that it’s diminished but it remains a useful framework for thinking about other parts of the energy system where decarbonisation is still difficult and poses security of supply and affordability questions.” He points to the decarbonisation of heat as particularly challenging in this respect. Clark then went on to outline four principles that he argued should inform the future direction of energy policy (see box). These, in turn, are informed by Helm’s thinking – but only to an extent. As an example, Howard points to Clark’s half-hearted embrace of Helm’s recommendation that auctions for low-carbon supply should be run on a completely technology-blind basis. “He [Clark] agreed with the principle of using the market mechanism but overlays a narrative of supporting particular technologies, which contradicts Dieter’s original point,” he says, namechecking offshore wind, CCS and nuclear as examples of technologies that Clark has said should continue to be supported. And onshore wind, which increasingly looks like the cheapest electricity generation option of all, still doesn’t get a look-in. Doug Parr, head of policy at Greenpeace, doesn’t expect to see a shift on this hard line until the government begins to emerge from the Brexit woods. Davey argues that the government is following through on the principles outlined by Clark: “They have taken things off the table and not added to them. If you are interested in optionality and insurance you should be investing in tidal and a smart, flexible decentralised system. “Greg Clark is a good guy and is saying the right things. But he’s not done the things that would follow from the principles: in fact, he’s done the reverse.” Davey points to the government’s cancellation earlier this year of the Swansea Bay tidal lagoon. When it comes to Clark’s principle of free-riding, the idea that well-heeled customers should not be able to opt out of the costs of paying for the cost of the network by investing in off-grid technology, Parr sees there is an issue. And he suspects that the way the principle is enshrined could be a way for those with an interest in the existing centralised energy network to delay the transition to a more decentralised system in which individual households meet a growing share of their own power needs. He suggests networks should be treated by society as a public good, as it does other infrastructure such as roads and railways. Clark promised in the speech that BEIS would be publishing a policy paper on energy, which will be published in the coming weeks and a White Paper “early next year”. Pointing out that the Conservatives have been in power on their own for three years while Clark has been in his current post for two-thirds of that time, Davey argues that Clark’s “speeches dealing in principles don’t really cut it”. As an example of the lack of concrete action, he points to what he sees as a lack of urgency on establishing whether hydrogen can be the low-carbon replacement for gas in domestic heat. “I’m not saying this is the future, but we don’t know until we have done a few trials to test out different heat technologies,” he says. “They keep saying stuff but not doing it. At some stage somebody is going to point out that the emperor has no clothes on,” he adds. Greg Clark has set out a vision: his task over the next few months will be to prove that it is more than hot air.